Climbed on 27th Dec 06. Met a few straglers like myself out on the slopes. 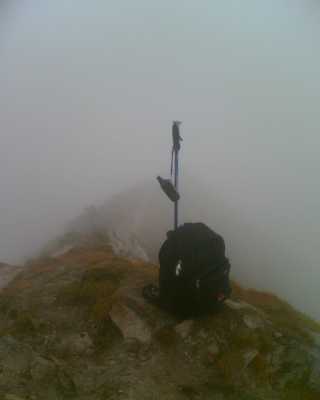 Visibility was very poor as can be seen from the photo.